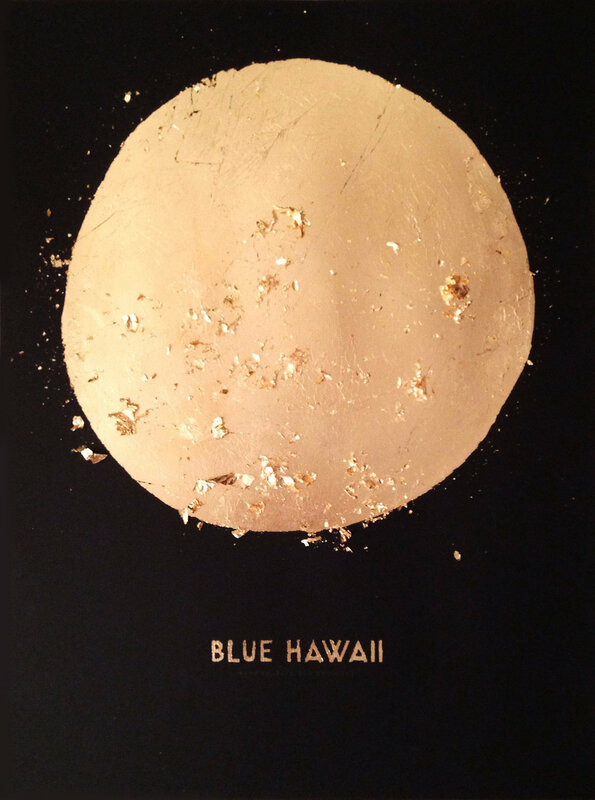 Hand leafed poster for Blue Hawaii at Decibel Fest 2014. Displayed at the EMP with others during the festival's opening gala. Only three created in different colored editions.